Boil 1 cup white rice and add 1 cup of mixed frozen vegetables just before rice is completely cooked. You can leave it white or add a tsp of egg coloring. Add 1 tsp sugar then add rice. Add different color bell peppers (optional). 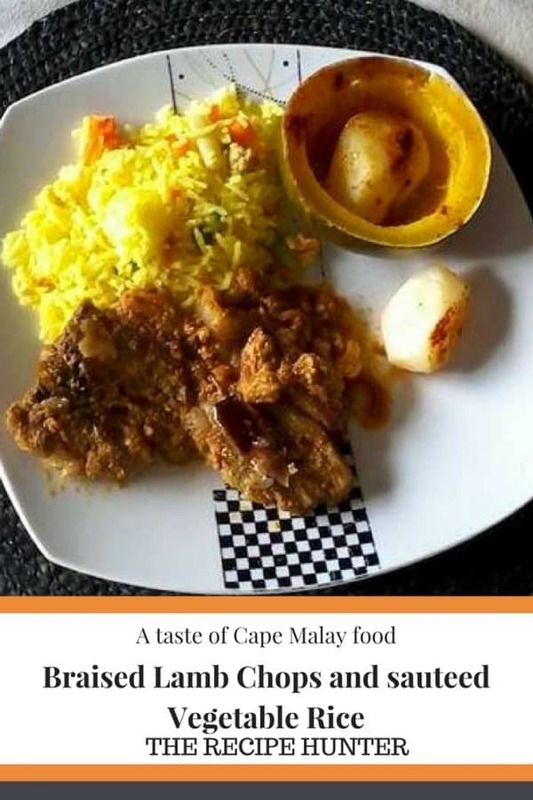 This recipe comes from the Cape Malay cookbook and I just, tweaked it a bit. You can even use this marinate for BBQ chops or chicken. Nice share. I luv lamb chops.